High power AC source/analyzer. Models from 90 to 540kVA. 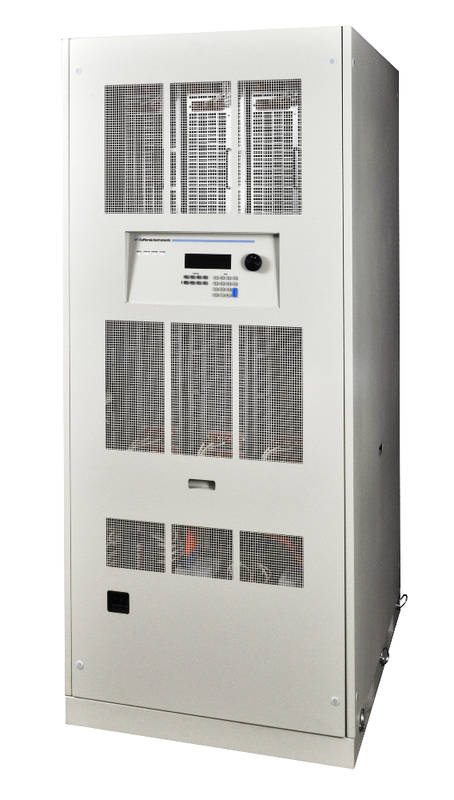 The RS90 delivers up to 90 kVA of AC or AC + DC power. In DC mode, 50% of the AC power level is available. On RS-Pi models, AC+DC mode is also supported. For higher power requirements, the RS180, RS270, RS360, RS450 and RS540 models are available. Available reconfigurable RS models (-MB designation) provide multiple controllers which allow separation of the high power system into up to six individual RS90 units for use in separate applications. This ability to reconfigure the system provides an even greater level of flexibility not commonly found in power systems. Due to the range of options and accessories combined with the specialized nature of this system, please contact us for details.